A four-day immersion in the Andean World, from Quito, along the Avenue of the Volcanoes to Cuenca, through the spectacular scenery of the Andes, with visits to centenary Haciendas, fertile fields of vegetables and roses, in close contact with the local culture. This is a journey along the history, spirituality, flavours, customs, traditions and legends of the Andean Region. Early departure from Quito by motorcar on the Pan-American Highway to the south, to visit the Cotopaxi National Park, an ecological sanctuary of 88,920 acres, around the magnificent Cotopaxi Volcano, which rises 5897 meters (19,347 feet) above sea level. The evergreen landscape of the Ecuadorian highlands is one of the main attractions, along valleys and mountains covered by multicolored fields. After an hour and a half, the entrance to the park is reached and then it's up a dirt road for approximately one hour. Upon arrival to the park there is an introductory briefing about the habitat of the Andean paramo or moorlands, its flora and fauna in the small Interpretation Center. After breakfast, take a spectacular route along the gorge of the Pastaza River to the town of Baños (Baths), right at the foot of Tungurahua Volcano, from where the thermal waters that gave it its name emerge. Drive along the Route of the Cascades to El Pailón del Diablo (the Devil's Cauldron) -the most adventurous will descend (medium difficulty) to observe the impressive cascade up close, surrounded by subtropical vegetation and orchids. The force and sound of the waters can also be appreciated from a lookout point without descending. Lunch is served at an hacienda / hostel in the surroundings, and in the afternoon a short stroll along Baños -a town with an international pulse, full of people from all over the world as well as many locals who take pilgrimages to the Sanctuary of the Virgin of Holy Water. From here, the route to Riobamba climbs up the mountain, to where the clouds can be touched, alongside the massive Chimborazo, the highest mountain of Ecuador, on the high paramo where vicuñas graze and scamper - this is a protected Fauna Preserve. On the hillsides, where the land is worked beneath the plow, one might think the farmer's true objective was to paint the hills in fascinating patterns, not just to till the dark, fertile soil. Great photo ops on this route! Arrive to Riobamba for dinner and lodging. After an early breakfast depart by road, skirting the flanks of the Andes, an astonishing ride, twisting and turning, along bridging ravines and river gorges. Ride through Indian villages and cultivated fields; here is where most of the cereals in Ecuador are grown, among them, the quinua, considered the perfect grain for its nutritional value. After about 2 hours arrive at the small town of Alausí, the beating heart of the rehabilitation of the Ecuadorian Railway Company in the last years. Great effort has been made to restore the 100-year old train to its old glory and romance. Stations have been renewed, railways and sleepers replaced, engines and classic coaches renovate, and, most important, the project involves the local communities along the route in the rail operation. The highlight is the thrilling 800-metre (2630-foot) descent on the zigzag cuttings on the rock of the Devil's Nose. At the bottom one finds the newly renovated Station of Sibambe. 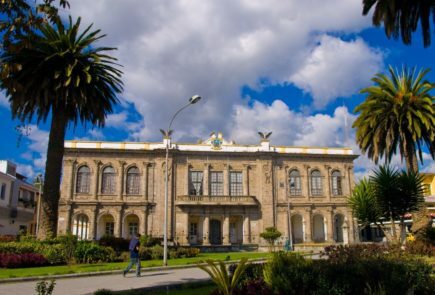 Here there is time to visit the local museum "Condor Puñuna" built and run by the Nizag community, see the display of local handcrafts, fruit and medicinal plants and try the local coffee. The train whistle calls guests back on board for the return to the Station of Alausí, where a light snack is served to regain strength. Continue exploring the Andean world by motorcoach to the south, visiting the Inca Fortress of Ingapirca en-route. Lunch in the area. Arrival to Cuenca at dusk for dinner and accommodations. Dress in layers (T-shirt, blouse, sweater, coat). Take a warm coat for evening and rain protection.. Sun protection (SPF 40) even if the day is cloudy. Hat or cap. Good walking shoes. 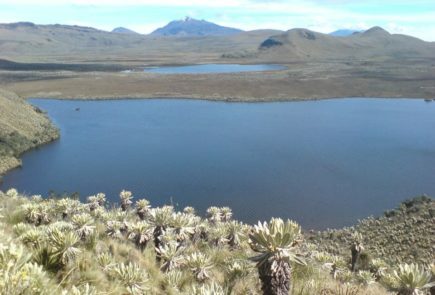 The next day, guests can continue to Guayaquil by plane or by road via El Cajas; or on to Loja, overland. Please bear in mind that the train operation is handled directly by the Ecuadorian Railway Company, the operation and schedules are subject to change without notice. Train tickets are included in the rate. Price of train tickets are subject to change without prior notice.